With great fortitude, Matt Pond took the stage on September 20th at JB’s in Philly with a broken leg he acquired just five days into his 2011 tour. Staring his first song standing up on crutches, he continued the rest of the show in a chair managing to sing, play the guitar and work the pedals – a testament to his desire to play music and please fans. It would have been easy to cancel the tour and abandon his tour-mates and fans but Matt played on. This is the nitty-gritty Matt Pond from Philadelphia, PA we love. Not the one Pitchfork so mercilessly tares apart in its’ reviews – reviews I consider to be unfair and one dimensional. Matt Pond PA formed his band in Philadelphia, PA (thus resulting in the PA suffix) but has been writing and recording in New York since 2003. They have released eight LPs and eight EPs since 1998 and currently reside on the Altitude Record label. His band’s current line up consists of himself on vocals, guitar, Chris Hansen on guitar, vocals, keys, Leslie Sisson on guitar, vocals, George Souleidis on bass and Dan Crowell on drums. Navigate on over to LPC on YouTube to catch a few more tracks from this show such as From Debris, A List of Sound, and Remains. Rocky Votolato is a folk/alt-country/indie artist out of Seattle, Washington. He appears on stage solo and with a backing band and is great to hear in either scenario. On this occasion, he performed both ways and we have been told that this is common. His song lyrics are great story telling and through such amazing writing and performance has been able to attract musicians from bands such as Red Stars Theory, Sharks Keep Moving, The Blood Brothers, Death Cab for Cutie, Pedro the Lion and Rosie Thomas to guest on his studio albums. Beginning in 1999, Votolato has released 11 LPs, EPs and 7″ records. Rocky Votolato’s performance at JB’s on September 19th was an engaging affair and his skills as a musician and writer came through in each song’s delivery. Check out some video from his performance including one video in wich he describes events on their current tour – more to come on that story in a later post about Matt Pond PA.
James Vincent McMorrow is a multi-instrumental Folk singer hailing from Ireland. His tour now includes a full band and this adds to the dynamic performance for which he is capable. While not yet widely known in the US, I believe in time he will be having drawn comparisons from critics to Bon Iver, Ray LaMontagne, Sufjan Stevens and others. Fully capable of standing on it’s own, look for McMorrow to carve his own niche of music; currently defined, in part, in my mind by long and descriptive song titles with lyrics and range to match. Enjoy some of James Vincent McMorrow’s performance at Johnny Brenda’s in Philadelphia on September 8th 2011 including an encore performance consisting of McMorrow, solo on the keys, playing the Steve Winwood cover: Higher Love. 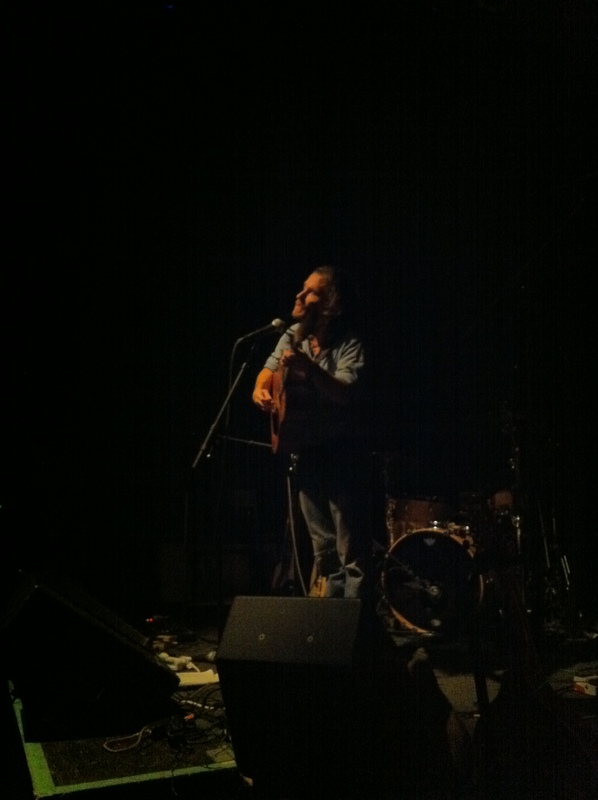 Christopher Paul Stelling’s performance on Thursday at JB’s in Philly was full of soul and passion in delivery, folkloric in style and mesmerizing in character. Playing to a room of strangers, he made us all feel like friends in the end. Whether he was drumming on his guitar, stomping his feet, or plucking at his strings, all was delivered with conviction selectively displayed in music today. Tim Kasher of Cursive and The Good Life fame plays a fantastic set with a backing band at Johnny Brenda’s in Philly on 082511. The first video is Album of the Year from his side project, The Good Life. Next, Tim plays The Game Of Monogamy. The last video I have for you is Tim playing Empty Bed from his side project, The Good Life. Enjoy.